This charming fishing village on the Overberg coast is a popular holiday destination. Traditional, lime-washed fishing cottages are dotted along stretches of seemingly untouched coastline, and the pristine beaches boast clear, warm sea for swimming, surfing and snorkelling. The town of Arniston is steeped in a rich history. 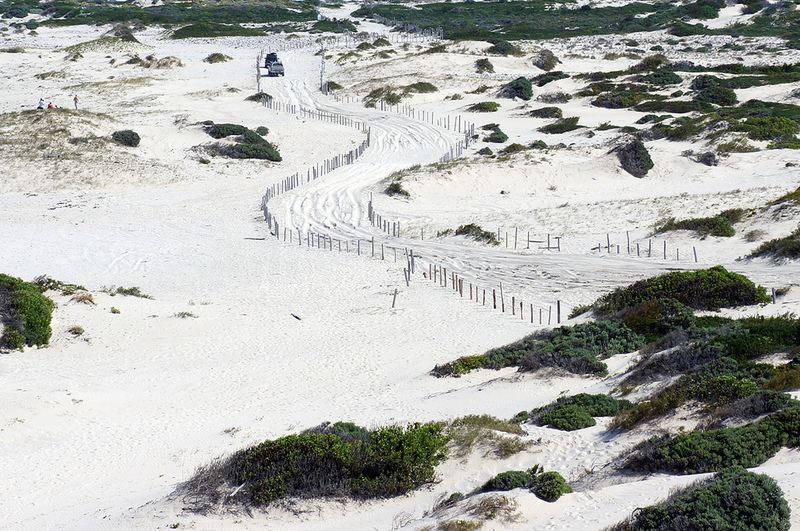 A large part of its rugged coastline falls within the Waenhuiskrans Nature Reserve, where one can still find remnants of the prehistoric fishing traps used by Khoisan strandlopers. Originally called Waenhuiskrans, the village was renamed when The Arniston, a ship carrying almost 400 passengers, sank on the notoriously wild and windy shores in 1815 and left only 6 survivors. Today, Arniston still functions as an active fishing village, even though the delightful, whitewashed cottages that make up Kassiebaai are over 200 years old and have been declared a national monument. White sand dunes, craggy cliffs and endless stretches of crisp, blue ocean make this seaside town a visual treat. A large part of the coastline falls within the Waenhuiskrans Nature Reserve, an area that is teeming with bird and aquatic life and is a popular Southern Right Whale watching destination between May and November. A highlight of the reserve is the vast and enchanting Waenhuiskrans Cave, a massive structure arching crookedly into the ocean that can be reached only at low tide. The cave is supposed to be wide and deep enough to easily fit an ox wagon and its entire team of oxen inside. 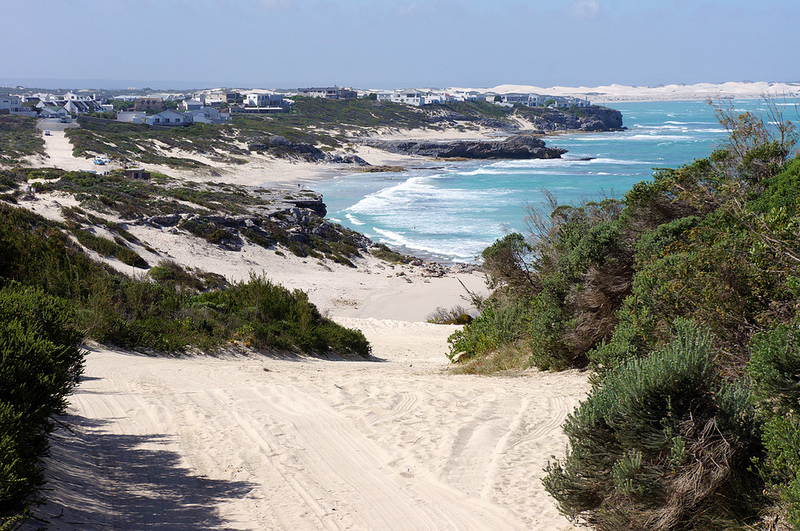 Arniston is surrounded by the De Hoop and De Mond Nature Reserves, both of which are home to an extensive variety of plant species and wildlife. Short and long hikes are popular there, especially for bird lovers. 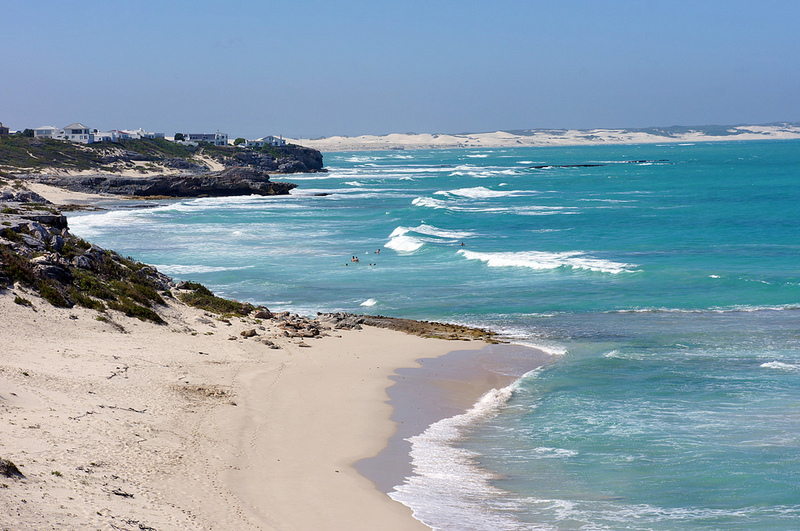 Those who choose to stay in Arniston will have plenty to do: the beach is perfect for swimming and snorkelling, there are a variety of scenic walks along the coastline and a few cosy pubs and restaurants run by friendly locals. Davina runs The Inn B&B in Arniston, this is a particular favourite of ours. Housed in a wonderful 1920s thatched-roof old village boarding house, the two suits were renovated in the 80s, retaining their charm and adding comfort. Besides the sea views, friendly dog, Rugby, and the close beach proximity, Davina and Ron are exceptional hosts. An institution in Arniston, and veterans of the area, they’re the best source of local knowledge and a pleasure to talk to.